Though I may be more of a savory girl, I do like sweets from time to time, especially when they are made in my kitchen. These are quite unique as they are dairy-free and made up of avocado, sweet potato, nut butter, dark chocolate and dried fruit. 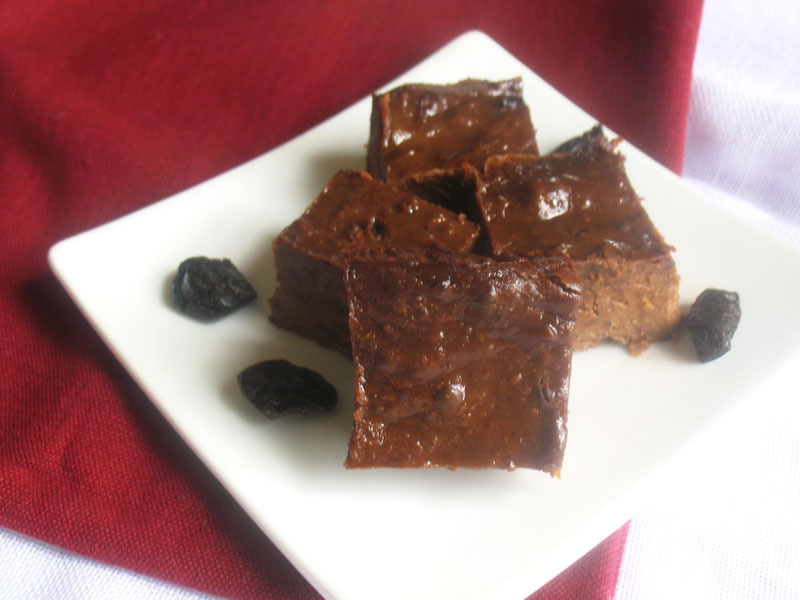 They are very fudgy and quite easy to prepare. I am certain that I will be making another batch soon. Quite good for you and comforting besides, all you need is a small piece to satisfy any cravings. We do have to get past this long winter, and sometimes we just want a small indulgence. Note that these are only almost vegan if you use regular dark chocolate. 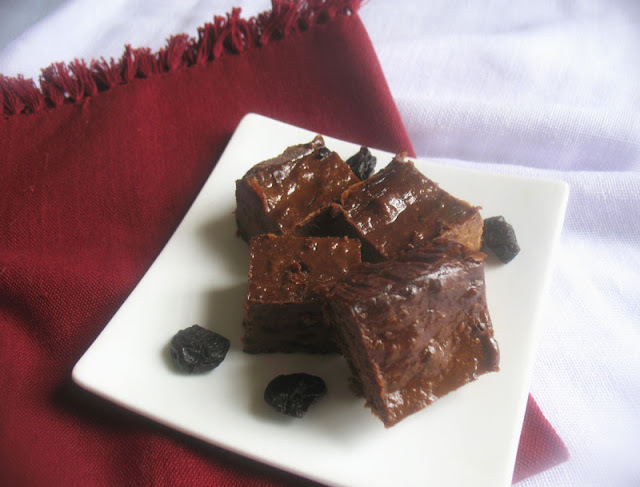 Use dairy-free dark chocolate if you want completely vegan brownies. Preheat an oven to 350°. Line a standard 9-inch loaf pan with parchment paper and set aside. In a blender or food processor, blend together the avocado, sweet potato, nut butter, maple syrup, coconut milk, cocoa powder and vanilla. When well blended, stir in the dried fruit and chocolate. Transfer the mixture to the prepare pan, spreading evenly. Bake for 20 to 30 minutes, until a cake tester comes out clean. Let cool on a metal rack and then cut into small pieces. Store any leftovers in the refrigerator for up to 4 to 5 days.